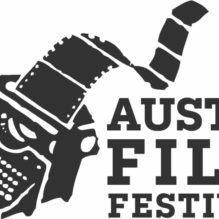 Another year and another Austin Film Festival in the books. For me this is the film festival that I hold dearest as it was the first one I went to and also it feels different compared to the others I have been to. Now in my fifth year in making the hour trip up to Austin I feel I got it down, which gives me the chance to maximize my time there. This year, not only did I see twenty plus movies, I also attended some of the conferences and learned quite a bit. Since this film festival focuses on the writing side, the conferences are full of screenwriters who want to share their wisdom to the people trying to make it. This year I listened to writers like Walter Hill (The Warriors), Scott Frank (Minority Report) and Virgil Williams (Mudbound) talk about what it was like for them to get started and what it took for them to get where they are at. Listening to them talk to aspiring writers about what habits to form and what not to do was very interesting, as you could feel hope filling up the room. After hearing those stories, it was on to the movies and like every year you have the great and the mediocre and of course everything in between. For me though there were movies that stood out, you know the ones that you have to tell everyone you know about. So I have picked five movies that when you see them in your town you should find a way to see them, so without any further ado here are my favorites from this years AFF. This is the meeting of two of the things I enjoy most on this earth, food and film. A few years ago, Chef Jake Bickelhaupt and his wife opened an illegal restaurant in their home that became quite the hit in Chicago. Eventually the couple was able to open a conventional restaurant and did something few do in their first years and that would be earning Michelin stars. Success came easy for them on the food front, but as their restaurant became more successful, the more strain it put on their relationship. Filmmaker Jack C. Newell didn’t know what he had until a moment something happened and he realized there was a good film in there. “42 Ounces” is a breathtaking view on what it takes to be the best at what you do. Deep inside most of us think we are writers. The reason why most don’t let that writer come out is because you haven’t found that subject that brings it out. For Jason (Brent Morin), a man who has never been good at finishing things, that thing that he hopes will unlock the inner writer in him is the great outdoors. Along the way he meets Mona (Sasheer Zamata) a woman who after not getting the promotion she thought she deserved takes a break to figure out what to do next. Together these two lost souls find each other and that’s when the real adventure begins. If there was ever a place to make two people fall in love it would have to be Northern Italy. Set in 1993, this is the story of Ello (Timothée Chalamet) a seventeen-year-old boy and the relationship he forms with his father’s research assistant. That assistant Oliver (Armie Hammer) at first resists, only to give into his feelings in this story of a summer of love that will haunt you long afterwards. This small town in Missouri is the setting of Martin McDonagh’s latest work of art. McDonagh seems to attract only the best and this cast is fantastic lead by the always great Francis McDormand. This is the story of one woman’s desire for answers in her daughter’s murder and the hijinks that take place after she puts up three billboards outside town asking a simple question. Somewhere along the way in our High School years we discover that we know everything and no longer need out parents. As our senior year ends and adulthood approaches we can’t wait to get out and get as far away as possible from the place we call home. “Lady Bird” is just such a story about that journey and how we don’t really know what we got until it’s no longer around. Written and directed by Greta Gerwig , who uses her own life as basis for a story that feels so honest and true.